So, I haven't finished the fashion project I started last week because I've been working on a number of projects. I have two painted portraits going right now that I hope to finish this week. Unfortunately they're a surprise gift for someone's wife, so I can't show them to you until she's gotten them. Additionally, I've been working on some more prints. Today I'm sharing one of this prints with you. 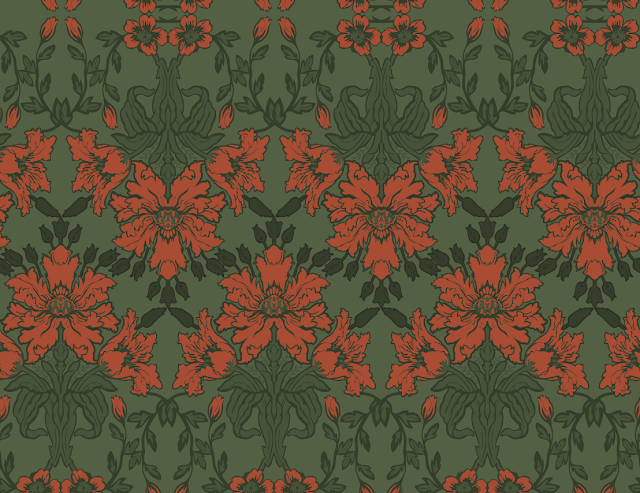 It's inspired by a vintage wallpaper print, but of course I've tweaked it quite a big. for one thing, mine is a bit simpler. 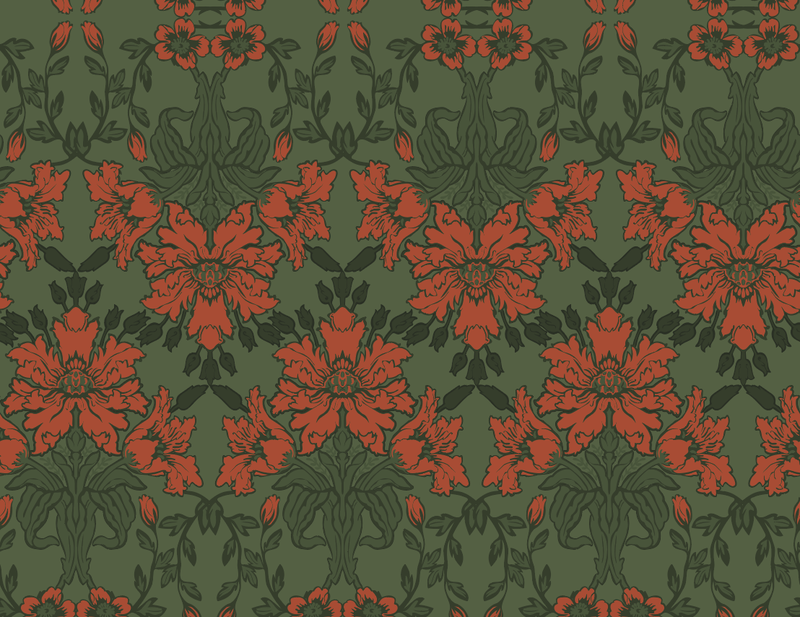 The request was for a few christmas-y prints, so that accounts for this color story. I'm not sure how I feel about it. It certainly looks like it's for Christmas, though. All right, I must be off to work on all of the things. Happy Monday to you!